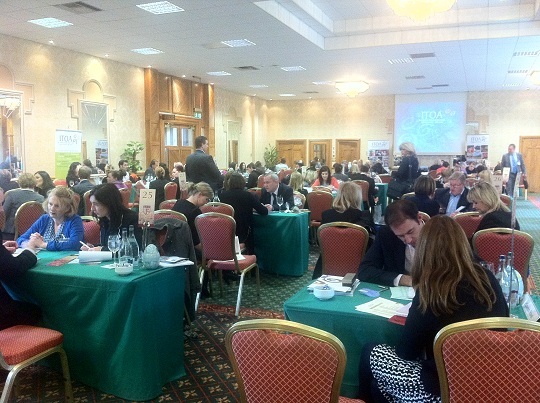 The ITOA workshop Dublin got off the a busy start this morning with over 240 Irish tourism industry businesses arriving at Fitzpatricks Castle Hotel. Gerry Nicholls, President launched the 2012 Members Business Report at the opening of the morning session. 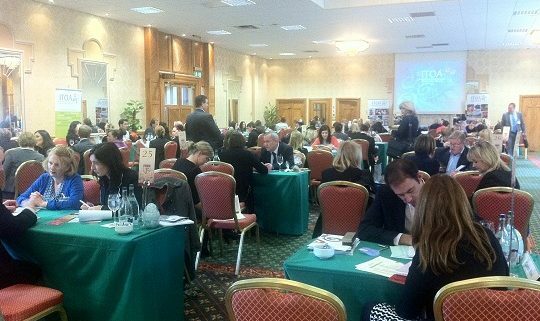 A very strong business performance in 2012 by ITOA members was very positively received by the tourism industry participants. 2012 saw more growth and a strong recovery with ITOA handling 419,000 visitors to Ireland who stayed on average 7 days and spend €346 million in the Irish economy while here, providing over 2 million bednights to the accommodation sector. Gerry Nicholls President of ITOA said “This is very good news not only for our members but for the tourism industry throughout Ireland. Our members spend over €156million with Irish Tourism businesses in 2012 and the benefit of ITOA members collective increase in business on 2011 up 19% overall will be felt by many tourism businesses nationally as our regional distribution of business is up to 60%. The benefit of the reduced VAT rate introduced by Minister Varadakar, one of the very positive initiative he has introduced in office over the last two years has also been key to recovery and growing and maintaining competitiveness, with ITOA members also increasing full time jobs in their businesses by 9% in 2012. Overall we have had very strong recovery in the past two years and I am sure that with the Gathering Ireland 2013 we will continue to see growth in the coming year”. ITOA 2012 Business Report is available here. You can see more photos from the Dublin workshop here.